Explore the spectacular scenery during our Dongchuan Red Land Tour! 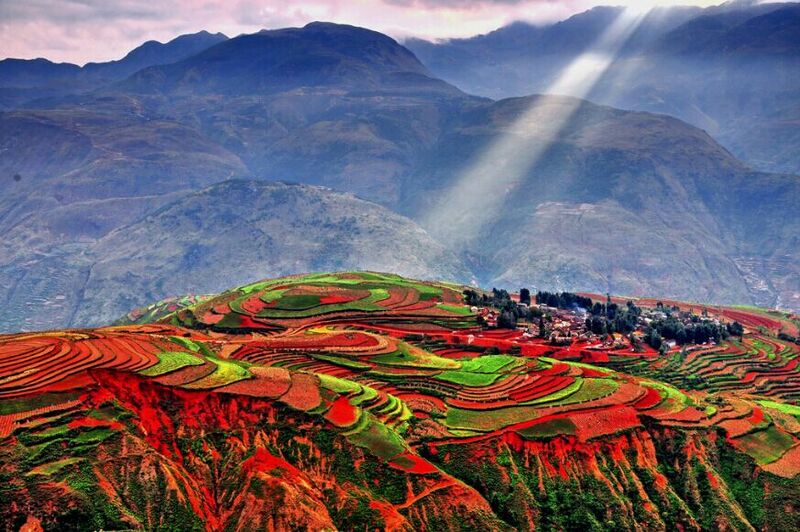 ​Join our team for this 2 Day Dongchuan Red Land Tour and adventure to the home of Red Soil in Yunnan Province! 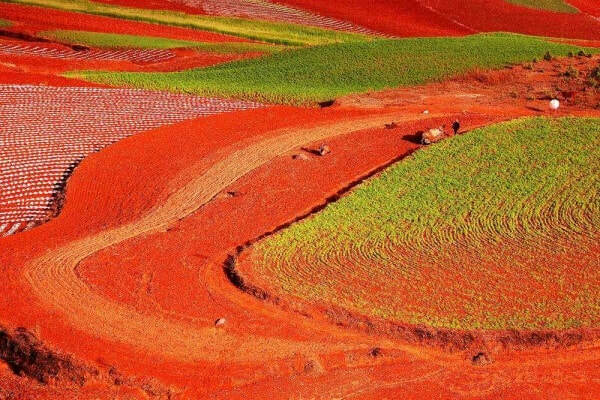 The Red Land Tour is a perfect choice for visitors looking to see this incredible red land scenery, located outside of Kunming during a private 2-day tour in South-Western China. At the conclusion of the tour, you might choose to return to Kunming Hotel, Airport or Railway Station. Please note, if you'd like to find out the latest pricing for our Dongchuan Red Land 2 Day Tour, please contact us directly. Arrive into Kunming the day before your tour is scheduled to begin as the tour commences with a pick-up from your hotel in Kunming City. 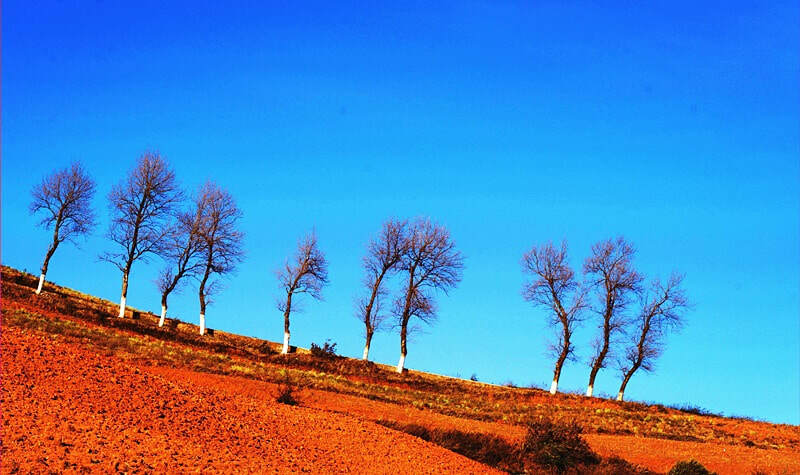 In the morning, your tour guide will meet you at your Kunming Hotel Lobby and you'll depart directly to Dongchuan. Along the way to Dongchuan, stopover for lunch before you'll travel through the picturesque Luoxiagou Valley, overlooking the spectacular Red Soil land. During the afternoon, explore the scenery and be ready for sunset where the views become incredible! After dinner, enjoy the night at leisure in your Dongchuan hotel. 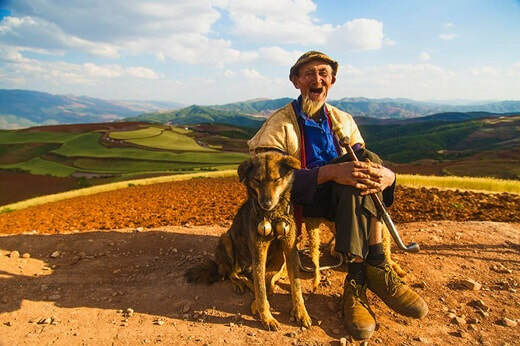 Meet your tour guide in the morning at your Dongchuan Hotel (early) to watch the sunrise over this amazing land. As the sun rises, different colors and scenery will emerge from the land below, offering the perfect views, especially for photographers! After further exploring the Dongchuan Scenic area during the morning, depart Dongchuan and travel approximately 1 x hour to Xiaoshuijing. 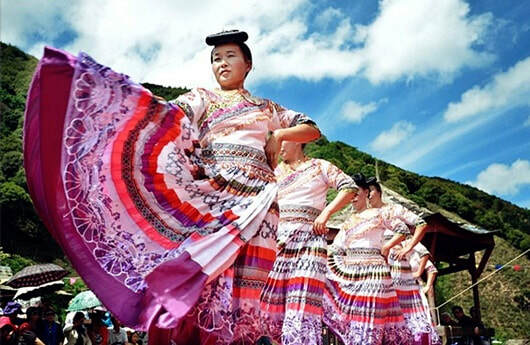 Xiaoshuijing is the biggest Miao ethnic minority village within the Kunming area and this particular minority village is Christian. Explore the village and even see the church in the middle of village! In the afternoon, return transfer to your hotel in Kunming to conclude the tour. END OF TOUR.